Leading Manufacturer of plasma enhanced chemical vapor deposition vacuum pipe line from Bengaluru. 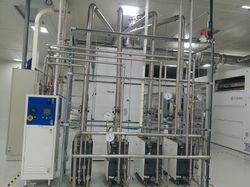 The utility model provides Plasma Enhanced Chemical Vapor Deposition Vacuum Pipe Line equipment and a gas path device thereof. The Plasma Enhanced Chemical Vapor Deposition Vacuum Pipe Line gas path device comprises a gas supply pipeline and a plurality of magnetic joints, wherein a plurality of special gas holes are formed in the gas supply pipeline and the plurality of the magnetic joints are arranged on the gas supply pipeline and are in one-to-one correspondence connection with the plurality of the special gas holes. Looking for Plasma Enhanced Chemical Vapor Deposition Vacuum P ?